As one of the most popular midsize SUV's on the road today, the Dodge Journey is the epitome of performance partnered with style. This vehicle also boasts a bevy of fuel efficiency features all designed to save you money at the gas pump. Both engine options available to drivers of the Journey deliver over 500 miles of highway miles per tank fill. The Dual Variable Valve Timing is partnered with a standard six-speed automatic transmission with AutoStick to produce maximum fuel efficiency and power with better reliability. The Journey enthusiasts at Ross Motor Company look forward to sharing our expertise about this venerable SUV with you as we invite you to be our guest on a test drive. 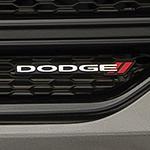 Our team of friendly professionals is eager to answer any of your questions about the Dodge Journey. We are confident that we can serve you and all of your automotive needs today!